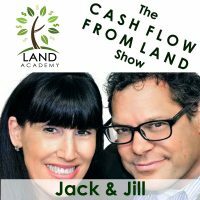 Steven Butala: Today Jill and I talk about the truth about land sales. Yesterday was The Truth About Land Acquisitions, and I got a lot out of that myself actually. Steven Butala: Today Jill’s gonna tell us all about land sales: the good, the bad, the ugly, and what to really, truly, honestly expect in the beginning of your career, and even all the way through. God knows she’s seen it all. Before we get into it let’s take a question posted by one of the members on the landinvestors.com online community. It’s free. Steven Butala: Oh, this is such a dangerous question. Jill DeWit: Of all the methods. Steven Butala: I wouldn’t … First of all, well, you’re gonna answer it, but I’ll preface it with this: this is a bad idea. Jill DeWit: What does that mean? Oh, like one avenue to sell? Steven Butala: What would it be? What would yours be? Jill DeWit: Yeah, this … My one meal? Steven Butala: Yeah. For the rest of your life every single … Ah, that’s your nightmare. Jill DeWit: Mexican food, that’s easy. I don’t care. Fajitas. Jill DeWit: I could live off … I could probably live off fajitas. It’s got to be a healthy amount of salsa and guacamole in there, but then I would … I’d be okay. Jill DeWit: You can live off spaghetti and meatballs. Steven Butala: Yeah, I liked your healthy option. Jill DeWit: Thank you. Yeah, my fajitas are good. Steven Butala: Yeah, what would you do? Jill DeWit: Yeah, I wouldn’t because I’d use them all. Jill DeWit: It’s too easy to use them all. Steven Butala: Yeah, let’s be super clear, this is a bad idea. Jill DeWit: Yeah, this is a bad idea. If I had to … You know what? If I had to use only one I would pick the one that reaches the most people, and at this point it would probably be social media, because I can reach thousands of people … and hundreds of thousands of people with one post, and quickly share it, so I can do that in minutes. That would be my number one thing, and what would I be doing with that? Driving them to my website. Why? Because that’s where all the details are, and that’s where they can check out with a credit card. How’s that for answering the question? Steven Butala: That’s absolutely true, but I’ll tell you, that’s not how we sell the most property. Steven Butala: Yeah, that’s how we sell properties. Jill DeWit: It’s pretty darn easy. Now I have properties that don’t even make the MLS … or not MLS … that don’t even make my site, because as it comes in I’m already selling it to Joe over here, because he always buys all those properties from me in a heartbeat, and we don’t even really talk about it. It’s kind of like, “Hey, here’s three more, or here’s ten,” and he’ll, like, “I’ll take all ten. I’ll take these five,” whatever it is. I already have his credit card on file, and I always deed it the same way. We don’t even really talk about it. But I can’t always guarantee that Joe’s gonna be in that right situation to buy my property. What if something happens with his business, or whatever? Even my buyers list could fluctuate or could change a little bit with what their needs are, so that’s where I thought, “I’m just gonna go for reach, man.” That’s a thing. Steven Butala: I’m gonna change the question a little bit, and answer a little bit differently, and then we’ll get on to the topic. This is pretty much on topic actually. 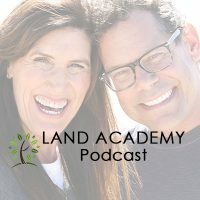 Steven Butala: The single best thing you can do in your land sales career is build a list and continue to build it, continue, continue, continue to build an email list, so that when you get a piece of property in you just blast it out and its sold. Steven Butala: Yeah, 50 new people to put on that list that I’m talking about. If you do that with a 100 pieces of property you’re in good shape. Now, imagine what we’ve done, 15,000 deals. Our list is huge. Steven Butala: It’s all interconnected. Steven Butala: Today’s topic: The Truth About Land Sales. Boy, we just said a lot, talked a lot about it already. Steven Butala: Maybe we’ll actually be on time with this show. Steven Butala: This is the truth about land sales, and it’s the meat of the show. Jill DeWit: Hey, Google, stop! Steven Butala: We set off the Google machine. Jill DeWit: We did set off the Google machine. Steven Butala: How’s that for the truth? Jill DeWit: I know. Why do you have a Google machine in your office? Steven Butala: Just because I ask it stuff. Steven Butala: All the time. Steven Butala: Well, if you had to explain it, if you had to say, what’s really good about it, what’s bad about it, do you do the same thing every time? Jill DeWit: Okay. Here’s the truth about land sales. Steven Butala: Does it depend on the asset? Jill DeWit: There are a couple different common themes every single time. Number one: you have to properly convey and portray the property. Part of selling is making it look good, and marketing. Marketing and selling really kind of go hand-in-hand, so you really got to have a really good posting, really good photos, or a good description. You don’t need to spend a week on it. I know some people that almost act like they’re writing a thesis, you don’t need to do that. But it has to be good, and it has to be accurate, and properly convey the property, good maps, where’s the taxes, and give stuff about you. Hopefully they’re on your website, as where people are gonna find it, but they want to know about you, and the transactions that you’ve done, and how this transaction’s gonna go kind of thing. It kind of starts with that. Now, the buyers that come to you they typically fall into a couple different camps. One, are the tire kickers. Steven Butala: Oh, this is good stuff. Jill DeWit: These are the people that call, and call, and call, and email, and call, and call. They want to go out there, they want to see it, they want to stand on it. They want you to be there with them, and hold their hand, and point out the view, which is the funniest thing. We’re not gonna do that. Steven Butala: I live 2,000 miles from there, but sure. Jill DeWit: Okay, now you know that’s not the right guy. When they start launching into this long thing about all this good stuff, that’s just gonna be a tire kicker. And they want to know, “Does the county allow that? Is a toy hauler allowed there?” Okay, hold on a moment. They haven’t been doing their homework long enough, they don’t really know yet what they even want. That’s a tire kicker, not the right buyer. Steven Butala: That’s a good question. Steven Butala: Yeah, that’s someone whose serious. Steven Butala: They just check out. Jill DeWit: They just check out. That’s the goal of what you’re really trying to do here. You’re really trying to … That’s the whole thing, the truth about land sales is you’re really not … There’s not a lot of selling, you know? You’re not trying to talk them into it, because if you do, and you tell them it’s gorgeous, and you can stand on the top and see the ocean from there, and they go out and stand on the top and they can’t see the ocean, now you have a refund, and they’re not happy. They’re gonna … It’s gonna be a probably, and sometimes it can be a mess. Steven Butala: Jill’s referring mostly to rural vacant land. Jill DeWit: Well, I’m talking about land. Jill DeWit: Even infill lots. [crosstalk 00:09:42] Don’t improperly convey what it is. Steven Butala: It’s only talking about price. Jill DeWit: They’re my customer two, or my customer three. Jill DeWit: Because that’s is. Steven Butala: They’re pros. It’s a B to B transaction, it’s not a B to C.
Steven Butala: Business to consumer versus business-to-business. Jill DeWit: It’s interesting, too, is that’s a lot of our business, is we are wholesalers, so the majority of my customers are other investors, and I love that. Now, will I … I don’t discriminate or say you have to have a wholesalers license, or I won’t sell to you or anything, because it doesn’t exist, but I don’t do anything like that. But if an end user comes along and wants to buy our property, heck yeah, lucky for them. What I’m not gonna do is hold their hand through it. I just don’t have time, my team doesn’t have time. I say me, but it’s us, so that’s a lot of it. Trying to think what else. Steven Butala: On larger deals there’s … nothing like this goes on at all. It hits the MLS. Steven Butala: Larger infill lots, say over $80,000 to $100,000, and then the really large property deals that we do. Steven Butala: $50 to $100,000 off of it. Steven Butala: [inaudible 00:11:21]. Yeah, do you have the cash? We can close. Steven Butala: Then yeah. Yeah, we’ll be happy to do that. Steven Butala: That usually right there, the right buyer, it’s over. Jill DeWit: The good thing to point out, too, about doing a flat rate MLS listing for those high-dollar amount deals, is often because … not just … it shows credibility who we are, but that’s usually where those guys are looking. Jill DeWit: They don’t know where else to look. Jill DeWit: They’re looking on … and it’s gonna syndicate on Zillow and Trulia and all those things. That’s where they’re looking for those bigger deals. We all know it’s just like being in Tijuana when it’s … Come on, let’s be honest. Steven Butala: It’s like being in Tijuana? Jill DeWit: Hold on a moment. We all know on cash deals there’s room for negotiation. Jill DeWit: No one’s gonna pay the sticker price, so you need to plan for that, too, by the way. When you do a flat rate MLS listing, just like you’re putting your used car for sale, you bump it up a thousand or two, or something, because you know you’re gonna shave off a thousand, or two. Steven Butala: There’s no lender involved in the deal, it’s just hard money. Jill DeWit: Their credit card, they’ve saved it up, they’ve got the cash. Steven Butala: That separates everybody. Now, they know we’re real investors, all the agents that are not worth their salt, they stay away. Those things really … There’s things that you can do from a sales standpoint that. It might take a little longer, but in the end you’re gonna … When you get a cash deal, a bunch of money down, non-refundable, they’re gonna close the deal. Jill DeWit: And never had them walk. Steven Butala: Then … But just kept the money. I can remember one time. Steven Butala: You know what, you do a great job of connecting with the correct buyers. Jill DeWit: You know what it is? It takes time. This is the truth about land sales, it takes time to build up to this. Know that, and you’re just gonna be … It’s … Especially when you’re new and you’re starting out, you think everyone’s, “Oh, this guy’s gonna buy,” and then he falls through. And then the next one’s gonna buy and then he falls through. Steven Butala: You don’t want to put yourself in a sales position role. Steven Butala: You want to be standoffish about it, you want to have this attitude, “Look, there’s nothing cheap, this is the best deal on the market.” I’m providing a tremendous value to you. I am also not gonna provide a tremendous amount of time in customer service. You know when somebody’s really hard selling you? Steven Butala: It’s never a good price. They have to go above and beyond, and make up for the fact that the price is not the primary point. Like, an auto dealership. Jill DeWit: No, I’ve never done that. Steven Butala: Selling on emotion. Steven Butala: This is not an emotional business. Steven Butala: Wholesaling is pure money. Steven Butala: Yeah, get excited. Yeah, get excited about the … Actually, get excited about the deal, not the land. Steven Butala: That comes up a lot. Jill DeWit: I have said, “Happy to. Here’s how much more it will cost.” And I’ve said, “I know in this county you can go to the assessor,” and, like, say it’s $800. I know you can go to the assessor, literally have them do it for $800 and stuff like that. “If you want me to take my team,” and they already know where the discussion’s going. “Well, we can hang up this phone, I can go to my team, I could have them reach out to the assessor, I can schedule it, get everything done, and everything like that. By the time I get this all done and we get back to you, it won’t be $800.” And they go, “Ah, thank you. Got it,” and that’s about it. You know what I mean? Like, if you want me to blade a road, you know what I mean? Those are … Things like that with people. They may be … They’re not wholesalers, they are retail, and you know what, honestly what I would do with those people, is I would try to help them find another property that fits their thing. “You know what, Mr. Smith, this one’s kind of out there. Based on what you’re telling me you want to drive your Cadillac. I’m not sure that’s gonna work. However, I’ve got a property over here with a paved road that you can get right to it, and there’s houses all around, so we can all … so, it’s real easy to see what can happen. Maybe this is better for you.” Then, leave it at that. Jill DeWit: This is really good. Jill DeWit: “Would you take two?” Yeah. Steven Butala: It’s the same thing with land. You want them to have already decided and done their homework. You can tell the minute they get on the phone that they want the property, it’s just a matter of price. Jill DeWit: I have two final points please. One is, we alluded to it yesterday, which is, good acquisitions and a good sales price usually solves all your sales problems. That’s number one. Steven Butala: If we buy it right it sells fast. Steven Butala: There’s no sales effort. Jill DeWit: Yeah, yeah. What I mean … what I’m saying is, when your property is priced 25% lower than everything else out there that you can find on the internet that’s similar to your property, yours is gonna sell fast. Jill DeWit: And I love this, because it’s so funny, because I see this all the time with our members. They get all excited like, “I just put it for sale.” And they’re watching it, like watching the pot, the water boil. Hold on a moment. And they get all excited about it, and they’re like, “Did I do it? I didn’t do it right. I did something wrong. No one’s checked out today.” This happens so often and it’s so funny. Then a week goes by, if that, and the next thing you know they’re like, “Oh, never mind, it sold.” Then, three more days go by, and go, “You know, I didn’t pull the posting down fast enough. I got two more people that would’ve paid more,” and whatever. Steven Butala: There’s your buyer list, by the way. Jill DeWit: It’s hilarious. I’m like … Yep. And that’s exactly right, so you have other stuff for them, so, it’s good. I don’t have trouble. Jill DeWit: We don’t have any trouble with sales. Jill DeWit: I’m glad we’re talking about sales, because you know what? That’s probably the reason we don’t talk about sales very much, is because we’re … And, that’s how I describe us. I describe our whole operation as acquisition machines, and because then the selling part comes really easy. Steven Butala: Well, you’ve done it again, you’ve spent another 20 minutes or so listening to The Land Academy Show, and watching it, too, I guess. Steven Butala: Join us next time for another interesting episode of our show. Jill DeWit: And we answer your questions. Should you have one please go and post one. It’s landinvestors.com, and it’s free. Jill DeWit: Okay, we didn’t play our game. Want to play our game real quick? Steven Butala: Ah, our game. Yeah, sure. Jill DeWit: Okay, here’s our game. Jill DeWit: Let’s get real quick. Think about Land Academy and all the people, all the more tough jobs out there than what we do, so if you can handle that, you can handle this. I got one. Meter maid. Jill DeWit: Oh, sorry. You don’t like that one? Jill DeWit: Yeah, I know. That probably wasn’t good. I have a bad meter maid experience right now, so that’s why she came to my head, so never mind. How about judge? If you can handle being a judge, you can handle this. Steven Butala: You know what? Jill DeWit: I think that’s only you. Steven Butala: And understand data, and data tables, and why, and how to look at data, and plot it, or however you see data, then any … This will be easier than anything you’ve ever done. Here’s why, here’s another thing that we don’t talk about enough, there’s no politics in this, it’s just you sitting at your table, and maybe one of your kids, your spouse, or your business partner helping, it’s so low overhead. This topic cracks me up. It’s easier than anything I’ve ever done and more profitable. Jill DeWit: That’s my favorite thing. If you’ve tried to do other property, or try and did something and you were frustrated with that, don’t give up. That doesn’t mean [crosstalk 00:21:25] that there’s something wrong with you. Steven Butala: Houses are possible. Jill DeWit: There’s a lot of other tough properties out there, and it doesn’t mean you can’t do this. Then the flip side is once you understand then and get really good at it, it’s a great place to start, and then evolve to other property types, and evolve to tougher things. It’s a good thing once you get this down. Share the fun by subscribing on iTunes or wherever you are listening or watching, and while you’re at it please rate us there. We are Steve and Jill.